Sometimes cities cut trees. Deal with it. There are few things at a city council meeting that will provoke greater upset than someone floating the possibility that perhaps some trees should be trimmed, or even felled. When the subject even comes up, I can sense a palpable tension in the crowd, with people already trembling with anticipation, preparing to leap up at the earliest possible moment to rail against the murder of our arboreal friends, and demand that the city come up with a different solution. Here’s the thing: I really love trees. Here’s another thing: Sometimes trees have to go for the greater good. Let’s start with the good of the tree itself. All trees do in fact have a lifespan, and while some can potentially live for hundreds of years, others cannot. Many trees chosen for urban environments are among the latter, for a variety of reasons, so a tree may actually be dead or dying when a city proposes taking it out. The tree is done. It’s finished. We need a new, shiny, happy tree. We know this because an arborist and/or other consultants said so. Other trees get sick, which is a growing problem in many urban areas. Trees sicken and die from all kinds of things, and their condition isn’t always superficially noticeable until quite late in the disease. By the time it becomes physically obvious to even casual passerby that something is going very, very wrong, it’s too late: The tree is dead or on the way there, and it may be spreading disease to the surrounding trees, including those on both city and private property. When trees die, they can become fire hazards — which is one reason the county voted to declare standing dead trees a nuisance that should be removed, but apparently voters don’t think this applies to urban trees. They can also fall over, because that’s a thing that happens when you’re losing all of your structural integrity. In an urban area, that means they’re falling on houses, cars, outbuildings, and even people. That is, uhm, really bad. Most people do not survive encounters with falling trees. So cities may opt to remove dead or dying trees in the interest of safety, and also cost savings. Particularly with diseased trees, taking out one infected specimen now, before the rest of the block gets sick, is really important. Not only will the city have to fell and replace other diseased trees, but individuals will have to do the same, and felling a tree is actually extremely expensive. By taking out sick trees, the city is actually protecting homeowners and gardeners every bit as much as it’s protecting itself. Other trees are in the wrong place at the wrong time. Redwoods in particular tend to completely shred roads, and while cities may try to preserve them, there comes a time when root trimming (which people also hate) isn’t logistically possible, and the tree has to go. Other trees may be causing accessibility problems (roots, branches in the way, trunk in the way, fallen leaves/fruit making the sidewalk impassible). Maybe the reason isn’t always obvious, but it’s pretty important: You don’t want trees breaking water and sewer mains, for example. There are a lot of sound policy, safety, and community reasons to remove a tree and replace it with a different specimen, or offset the removal by planting elsewhere if replacement isn’t feasible. There are also a lot of good reasons to trim. Utility lines can be an issue. Trees growing too close to structures can cause fire hazards. Cities keep a close eye on their trees and they hire professionals to assess them because they have a responsibility to maintain public safety, health, and welfare. Sometimes that means taking a whack at a tree to bring it in order and see if it’s possible to shape and maintain it so people can continue to enjoy its majestic and lovely presence. But people go into conniptions any time someone even mentions the possibility of doing anything to a tree anywhere. Even when they are presented with the reasons for a decision, and even when those reasons directly benefit them and the rest of their community. (Would you like your road to stop being a horrific mess every winter? Then yes, you should let us trim or fell these trees.) Every tree is sacred, even in the face of very bleak facts — if a tree is dying, I would like to think that we can agree we should probably fell it, but I’ve been proved wrong. 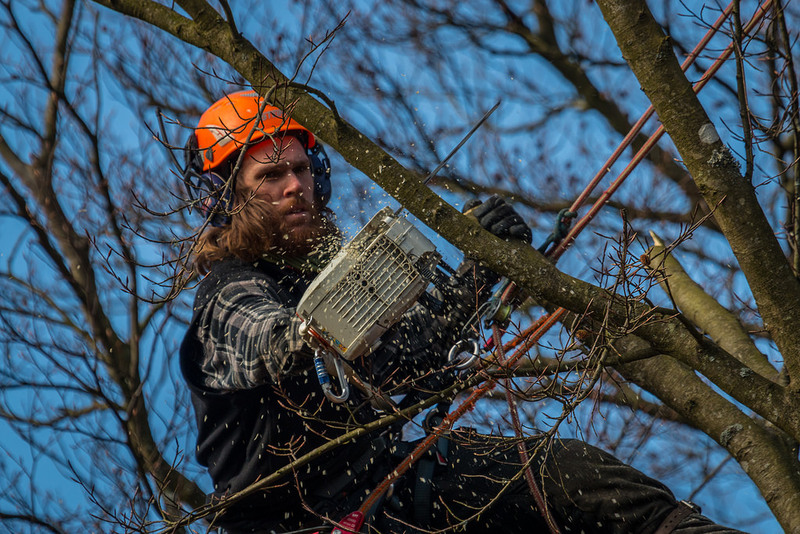 If a tree is posing a serious safety risk, it should be trimmed or removed, depending on what the situation warrants. If a tree is going to cause tens or even hundreds of thousands of dollars in damage, it needs to go. Because I love trees, but I love the common good more. Instead of screeching every time cities propose to take out trees, people should really sit down and take a minute. They should start by requesting and reading the arborist’s report and other supporting documentation that explains why a city wants to trim or remove a tree, so they can learn more about what’s going on. Such reports often list alternatives and make suggestions on the basis of logic and feasibility. If people really want to contest a removal or trimming, and there are compelling reasons to do so, they should muster those reasons and prepare to defend them vigorously. But why not take advantage of a scheduled removal to approach a city about what they are going to install instead? Encourage them to take the arborist’s recommendations on a replacement that will live for a long time, add beauty, shade, and texture to the landscape, and make the city a more enjoyable place to live. One tree may be going away, but the next one represents a world of opportunity.